For his part, White (at left) is unapologetic about the situation. He said as much when I asked him directly if there was anything different he’d have done, given the fact that the choir is $250, 000 in debt, he’s now out of a job and many in the boy-choir community feel traumatized. Nope, he said, all fault lies with the board. Without taking sides in the ABC dispute, arts leaders around town concur with Underwood, to a point. Haven’t we seen this pattern before? An artistic leader, usually a conductor, has done yeoman service for a venerable arts organization but, in all likelihood, has hit a career ceiling and isn’t likely to get as prestigious a job elsewhere. He hunkers down, fuels a partisan divide, refuses direction from the administration or the board, and then — inevitably — the whole thing unravels. Everyone ends up looking bad. If past experience is a guide, the organization and the board go through some soul searching and usually survive. It is the conductor, now pegged as “fiscally irresponsible” or “hard to work with, ” who takes the biggest hit. Who will hire this sort of conductor? Who will donate money to his organization? So now what? is currently auditioning artistic director candidates that are, as board member (and alum) David Davis told me, “world class in every way.” There’s a chance that the retired ABC director, Fletcher Wolfe, who led the choir for 43 of its first 50 years, will return as a one-year interim director, till the permanent new chief is in place.Meanwhile, the rival group that some parents and White are setting up, has a nice website but as yet no confirmed singers or events. Do they have 501(c)3 non-profit status to handle the contributions necessary to sustain them? 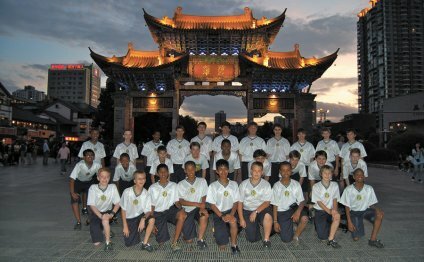 Several dates that White arranged for the coming season, such as a Christmas performance at Peachtree Road United Methodist Church in Buckhead, have been removed from the Atlanta Boy Choir’s schedule and transferred to the Georgia Boy Choir’s tentative calendar.